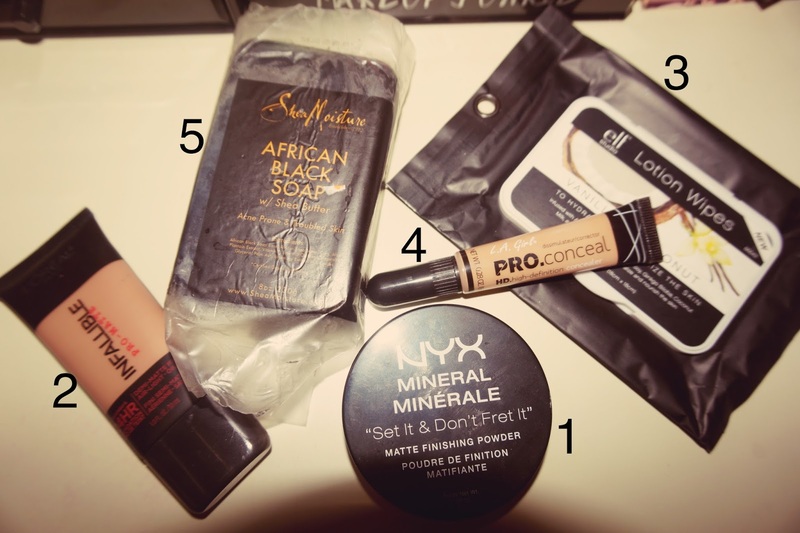 Now that 2015 is almost over, I wanted to list my top 5 beauty products of 2015. 5. Even though I've only been using this product for a couple of weeks I already see a difference in my skin. It smells amazing and I love that it dries on my face like a face mask. I keep it on my face for about 5 minutes and then I rub it into my skin and then wash it off. 4. The next product I have been using since the Summer time. I love this concealer so much, I have four of them, four different shades. The consistency is great and it matches so many different complexions and serves many purposes on your face. 3. If you watch my videos you know how much I love the vanilla & coconut E.L.F makeup remover wipes. They smell so good and cleans your makeup off. When you're done using it your face smells amazing. They also moisturize your face because they're lotion wipes. 2. I just started using the Loreal pro-matte foundation two weeks ago and I already love it. It is definitely more matte than the Maybelline fit me matte & pore-less. 1. My favorite beauty product of the year would definitely have to be the NYX "set it & don't fret it" matte finishing powder. I have very oily skin so I use as many matte products I can find to keep my face less oily. The NYX setting powder is amazing for baking your highlight and keeping your skin oil-less for a lengthy amount of time.